As each week crawls closer to the January 1 college essay deadline, those students who have not yet begun the process are feeling the stress. And as a professional essay editor, I’m in crunch mode too, helping students avoid the common mistakes I see over and over again. These mistakes prevent essays from delivering powerful and impactful personal statements that can sometimes help tip decisions during the admissions review. 1. Does Your Essay Have a Central Theme or Focus? Often I read essays that include too much information. This results in a broad list of achievements and accomplishments with no central theme or focus. Even worse, these essays often fail to answer the essay question in the first place! The most effective college application essays respond to the essay prompt with ONE clear theme, story, or topic, and provide extensive detail and explanation to support the chosen topic. Instead, students make the error of including as many ideas as possible as a means to impress admissions officers. 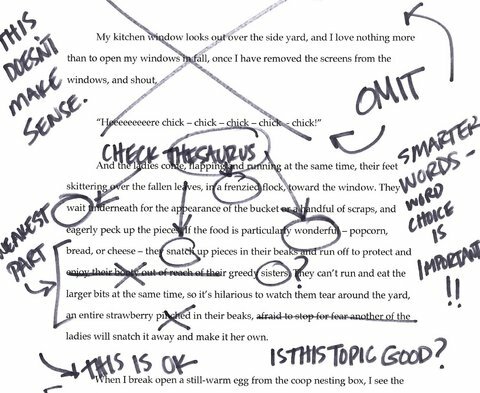 This approach creates an essay that is scattered and confusing for the reader. I once read an essay that started by focusing on a passion for ice skating, but included why the debate club was a favorite extracurricular activity and then how the writer was inspired to pursue medicine. The result was an essay that included too much information and lacked a connecting theme. It is better to hone in on one message or story – perhaps the anecdote about being inspired to pursue medicine – and explain it in detail to deliver a unique and focused essay. 2. Does The Student’s Passion Shine Through? Many students write about a topic they believe admissions officers want to hear about rather than about a person, activity, or event that has personal significance. Essay topics that are not authentic and do not have significance to the student tend to be generic and uninteresting. The most successful application essays are engaging because they center on topics a student can passionately write about and allow the reader to understand the applicant on a personal level. For example, if a student is extremely passionate about ice skating and can convey how the sport provided her with growth, development, and maturation, then writing about ice skating could produce a very engaging essay. The student’s passion would clearly resonate to the reader. Other examples might be a unique family experience or perhaps a life-changing story about a discussion with a war veteran grandfather. Ultimately, these are things that may not show up in other parts of the application and will give more depth to a student’s personality, helping the admissions officer to get to know the student beyond test scores, GPA, and lists of activities. 3. Does Your Essay Include General Statements and Clichés? The use of general statements and clichés weakens a college application essay. Using statements like “I believe in doing what a person loves to do” is not convincing. Why? Because the use of general statements lacks evidence and leaves the message up for interpretation. Instead, your student should include concrete examples, details, and stories to support the essay’s central message. Be specific and provide supporting evidence and reasoning throughout the essay! 4. Does Your Essay Use Clear and Simple Language? A common misconception from applicants is that complicated language or lengthy sentences sound more intellectual. In fact, doing so will make your message more difficult to understand. Remember: admissions officers read hundreds or even thousands of these! The best application essays are straightforward, succinct, and clear. To deliver a message with maximum impact, go through the essay and remove unnecessary or excessive language. Here are two of my favorite recommendations: Have your student ask a younger sibling or friend to read the essay and point out sentences that he or she does not understand; and have your student read their essay out loud to hear the language and flow. Remember; keep it clear and straight forward! Before your student submits his or her application essay, make sure he/she has asked these questions as they edit, revise, and edit again! There’s still time to finish essays and enjoy the holidays.